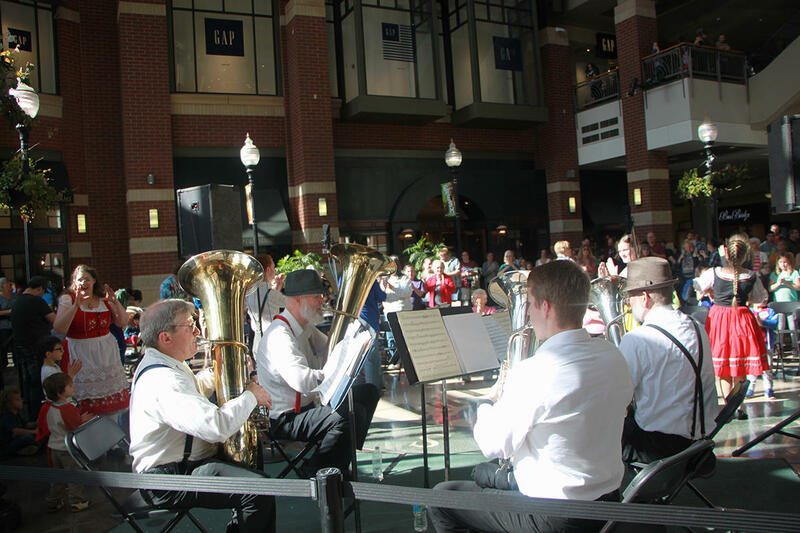 SPARC performs in the River Park Square Atrium. Four of the Silver Spurs Folk Dancers demonstrate a German dance. 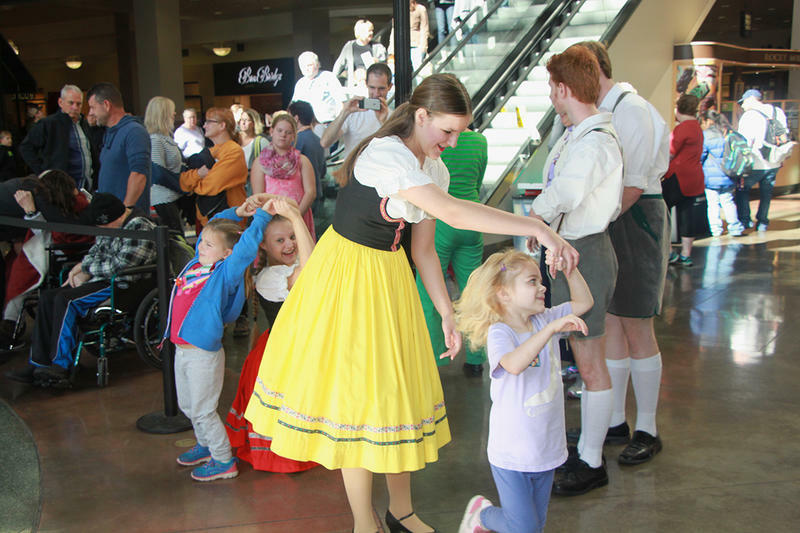 A couple of kids wanted to learn more of the German dances with the Silver Spurs. Thanks to Mobius Children's Museum for offering a Chicken Hat craft for kids. 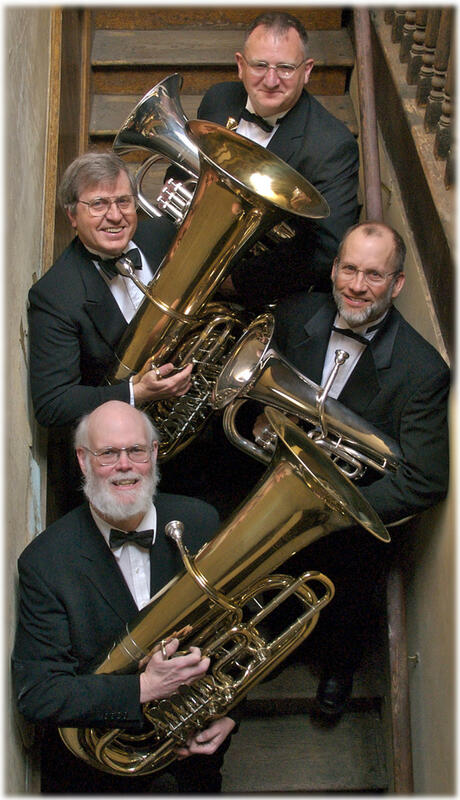 SPR Chief Engineer Jerry Olson (at left) and other members of SPARC (Spokane Piston and Rotary Club) Tuba Quartet performed at a 2004 KPBX Kids' Concert. 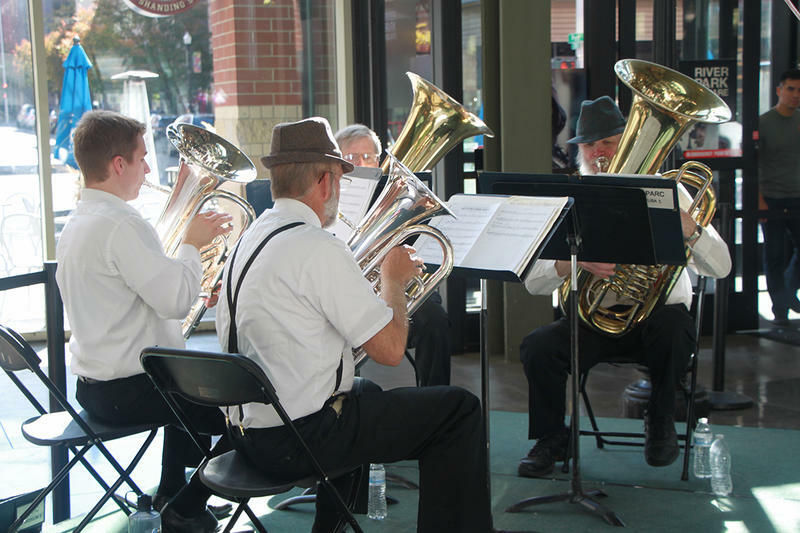 This Oct. 7, the group will present Oktoberfest music in River Park Square. The very first Oktoberfest was held October 12, 1810 to celebrate the wedding between Crown Prince Ludwig (later King Ludwig I) and Princess Therese of Saxony Hildburghausen. Horse races in the presence of the Royal Family marked the close of the event that was celebrated as a festival for the whole of Bavaria. The decision to repeat the horse races the following year gave rise to the tradition of the Oktoberfest. SPARC featured German marches and Bavarian dance music, in a deeper octave. SPARC stands for the Spokane Piston and Rotary Club, referring to the way the tuba and euphonium work. Most euphoniums use “piston” valves, like on a trumpet. Many of the better tubas us “rotary” valves, like on a French horn. So as the euphoniums go up and down, the tubas go ‘round and ‘round. The group also calls itself a “low brass quartet,” because the instruments play lower, deeper notes. The performers have played together in various other groups, and got together as a quartet to have some fun. 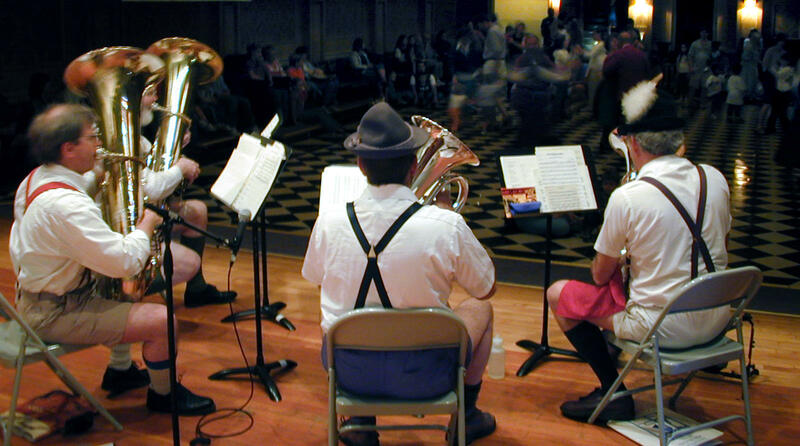 The quartet played tunes such as "The Bayriche Polka", which was written expressly for tuba, “The Chicken Dance," and “The Root Beer Polka” (adults know it by a similar name). 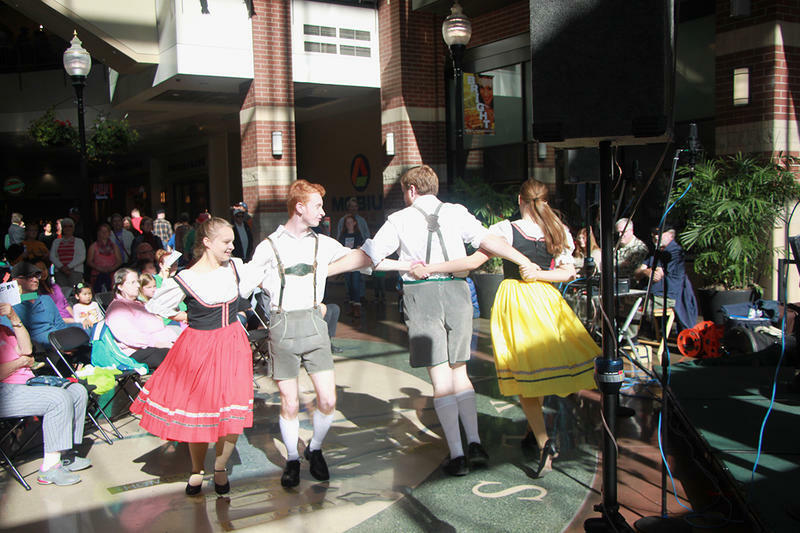 For selected songs, two couples from the Silver Spurs International Folk Dancers demonstrated traditional German dances. 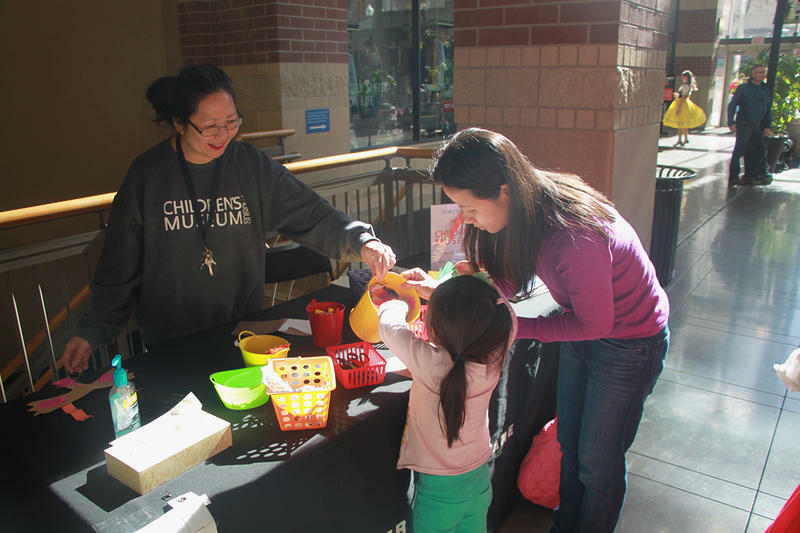 Mobius Children’s Museum helped kids make chicken hats to wear during the chicken dance.. The concert is free for all ages thanks to Event Donors: Harvard Park Children's Learning Center North, Numerica Credit Union, Rocket Bakery, and Spokane Pediatric Dentistry.